Annual Symposium with continuing education opportunities. Access to regional seminars and conferences. Bi-monthly newsletter with industry-relevant information. 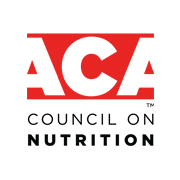 The latest information on CPT codes for nutrition counseling. Quarterly journal - Nutritional Perspectives. The annual dues shall be payable on or before the first of October.